Ladies’ Fellowship meet on alternative Thursday afternoons throughout the year except for August and January. Meetings take place in the Coffee Shop, and are varied in format. 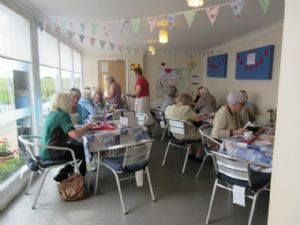 Sometimes there are songs, prayers, bible readings and a speaker; at other times we enjoy craft activities, or take a day trip out. There are usually 10-15 ladies present, and a good ‘mardle’ is enjoyed by all over tea and biscuits at the end! Meetings begin at 2.30pm with the next sessions beginning on Thursday 20th September and then fortnightly from that date. Why not come along and join us… you will be very welcome!! Why not have a look at our Ladies' Fellowship Autumn / Winter 2018 programme by clicking on this link. 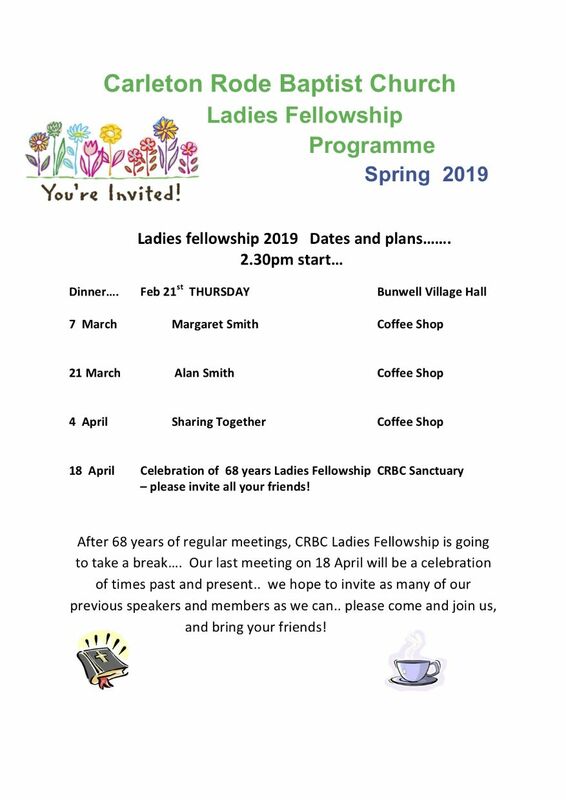 Illustrated below is a schedule for the Ladies' Fellowship from February to April and the news that the Ladies' Fellowship will be taking a break after 68 years.